OAK BROOK, Ill., June 12, 2018 /PRNewswire-USNewswire/ — Joint Commission International (JCI) is pleased to announce the appointment of Lynda “Miki” Mikalauskas, MBA, BSCN, RN, CPHQ, as JCI’s new principal consultant in the Middle East and Africa Region. Fluent in English, French and Turkish, she will serve as a valuable member of the Middle East Regional Office, led by Managing Director Ashraf Ismail, MD, MPH, CPHQ. Mikalauskas first joined JCI in 2006 as a consultant and served as associate director of JCI’s European Office for a period of time. She has more than 25 years of health care, international management and executive leadership experience. 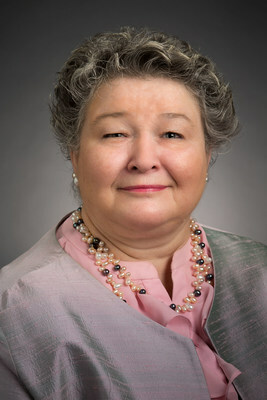 Mikalauskas was formerly the director of nursing at the American Hospital in Istanbul, Turkey. She also served as the chief clinical/chief nursing officer at Johns Hopkins Medicine International in Abu Dhabi, United Arab Emirates, and as the senior director for Licensing and Accreditation for Al Noor Hospitals Group in Abu Dhabi. Mikalauskas has led health care organizations in their first JCI accreditation and subsequent reaccreditations. She has expertise in directing clinical, allied health and organizational support teams to resolve long-standing problems and identify new protocols. Her experience as a nurse and administrator helps her guide organizations through baseline assessments, creating a culture of organizational safety, and conducting mock surveys. Dr. Ismail said he is excited to welcome Mikalauskas to the team. With 365 accredited organizations in 16 countries across the Middle East and Africa, Mikalauskas’ commitment to performance improvement and patient safety will assist this growing community with advancement opportunities. As part of JCI’s ongoing education and training, the region will host monthly webinars about how to improve patient safety and outcomes. Organizations also can attend events in the Middle East, including an upcoming JCI practicum in Dubai. For more information and to register, visit www.jointcommissioninternational.org/dubai-international-practicum2018/.